When setbacks happen, or challenges persist, do you find the excitement and optimism for your business giving way to WORRY… and do you find yourself worrying silently? A bit of worry can actually be a good thing, as long as it results in quick and effective action that eliminates your concerns. But persistent or excessive worry creates a cocktail of neurochemical toxins that inhibit mental agility and make it more difficult to find solutions. It’s hard enough to build and maintain a successful business when we’re on top form and at our sharpest mentally, which makes unrelenting worry a dangerous enemy to our business dreams… and remaining silent about our worries is a fatal trap that keeps us stuck in an ineffective mental state. Why Entrepreneurs often succumb to silent worry about their struggles? For those who have the support of their family and friends, guilt around the potential negative outcomes for their loved ones may draw them into silence, believing they’re protecting their family by shouldering their struggles alone. And then there’s the worry that talking about your fears or problems may be a sign of weakness or incompetence, preventing entrepreneurs from reaching out for the support they need. 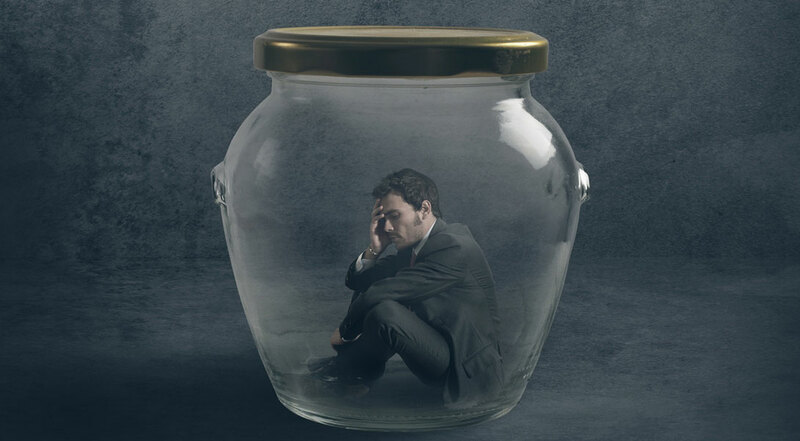 Too many entrepreneurs struggle in silence, but silence isn’t a solution, as it simply escalates feelings of anxiety and worry and exacerbates the problem! Even the most seasoned and successful business leaders can be knocked flat by setbacks. In a brilliant article, “The psychological price of entrepreneurship”, Jessica Bruder cites a case study about Mark Woeppel, CEO of Pinnacle Strategies. In 2009 sales plummeted 75%, he laid off staff, exhausted his assets and his confidence was depleting fast. He said: “As CEO, you have this self-image–you’re the master of the universe, then all of a sudden, you are not.” He stopped leaving the house, gained 50 pounds and played the guitar, the only thing he could do just for the love of doing it. Despite the setback, the one thing he did was to keep working to develop new services. In 2010, he scored his biggest contract, sales soared and he scaled the Inc. 500 charts. Woeppel says he’s more resilient now, tempered by tough times. “I used to be like, ‘My work is me,’ Then you fail. And you find out that your kids still love you. Your wife still loves you. Your dog still loves you.” Jessica Bruder goes on to show that while running a successful business will always be full of ups and downs, there are many things entrepreneurs can do to stay buoyant, like not being afraid to ask for help and reframing the failure. Most of what we worry about will never happen. Studies have revealed that 85% of what subjects worried about, never happened. And when the thing they were worried about did happen, invariably they saw they could handle it better than expected, or gained invaluable learning as a result. Responding to a challenge by worrying is a fruitless activity that traps you in a web of negative thought. When caught in this web, the mind has a way of making stuff up and seeing the worst outcomes, which can depress your energy levels and ultimately retard action. It’s a vicious circle that simply leads to more to worry. The irony is that the worry itself can cause an even greater problem than the original problem, by way of the impact on health, relationships, inaction and poor decisions. Release yourself from the web of worry. Action is a powerful cure for worry! When challenge strikes, the best response is to tackle it head on. 2) Doing the things that get results. If results aren’t forthcoming, they find out what they can do to turn the tides i.e. the things that will get results. They understand the danger of worrying and inaction, which is why they take massive action quickly and will get help if needed, to map out a plan of action, break through the challenge and create forward momentum. Success is about standing on the shoulders of giants and drawing on the skills and knowledge of others, which means being okay with asking for help. And contrary to popular belief, asking for help is actually a sign of strength, not a weakness! Once you’ve broken the silence, taking action stops the worry cycle and creates forward momentum. • Contract a coach to help you see the bigger picture and resolve the challenge at hand. Taking action is liberating and a powerful cure for worry! Do something that will create a pattern interrupt and eject you from the dangerous trap of worrying about and escalating the problem unnecessarily. Action, action, action gets results! It’s energizing and liberating knowing you’re doing something about the problem rather than sitting around dwelling on the problem. So if you hit tough times, don’t succumb to worrying in silence. Break the silence, ask for help, and take massive action. This will propel you towards your chosen destination and place you among the 4% of entrepreneurs who are still running successful businesses, 10 years’ from now! P.S. If you’ve had a set-back and ready to break through to achieve the Wilde Success you deserve, schedule a free exploration call here to discover how I can help you get Powered-Up to make your business dreams a reality.